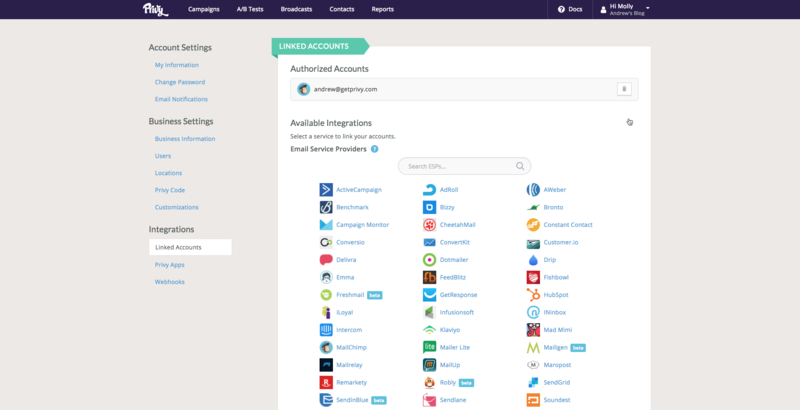 If you are a Privy user, you are able to sync your contacts to your Zaius account to add your new subscribed contacts to your lists. After you complete the following steps, any time a contact of yours signs up for your Privy campaign, they will automatically appear in Zaius. From the account dropdown, click "integrations". You will be brought to an area labeled "Linked Accounts". From this page, click on the icon for Zaius. 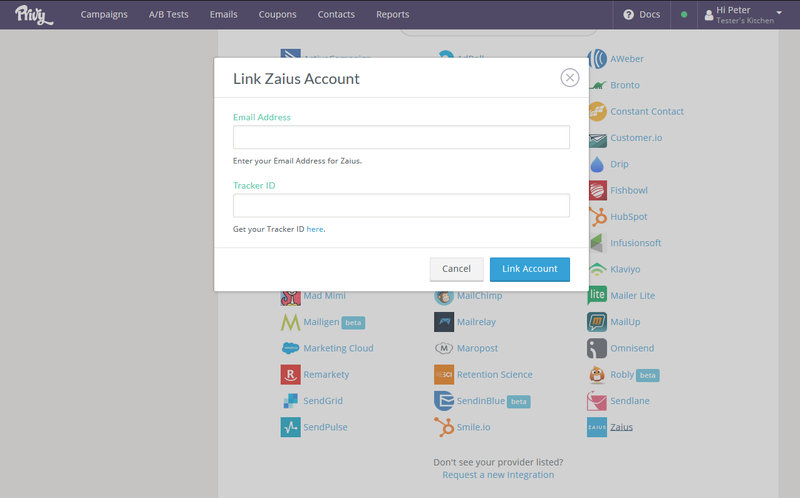 In the dialog that appears, enter your email address and Tracker ID from Zaius, then click "Link Account." Privy and Zaius are now connected, but we still need to configure an automation rule to sync from Privy to Zaius. From the top menu, click on Campaigns. 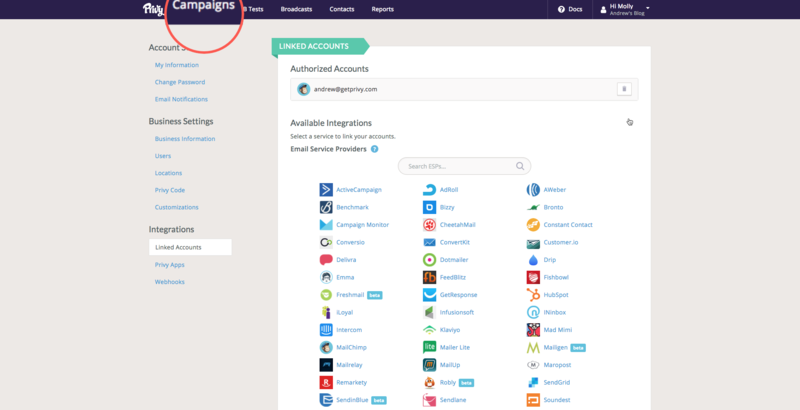 From the campaigns page, click on a campaign and navigate to the Automation section. Click the New Rule button and configure what should happen to a contact when they sign up for this Privy campaign, then click Save. Congratulations, you've now set up your Zaius email sync! Note that certain fields in Zaius, such as "gender," have input validations (must be exactly one character) that can prevent successful sync.